In today’s online environment, lawyers need both creativity and tenacity to help clients protect their brands. Clients tell me they appreciate my determination in devising innovative ways to combat infringement – often against infringers who hide behind a cloak of anonymity on the Internet and in remote countries around the world. As Anti-Counterfeiting Team Leader, Kristina Montanaro Schrader crafts modern brand and content protection strategies for a wide range of multinational businesses. Counterfeiting cuts across virtually every product sector, and Kristina serves clients in various industries, including fashion and luxury goods, food and beverage, software, electronics, pharmaceuticals, consumer products, sports, music and entertainment. In addition to fighting counterfeit sales, Kristina also works to protect celebrity clients from reputational damage caused by online imposters, fake endorsements and other deceptive marketing scams. Kristina takes a collaborative approach to IP enforcement and frequently draws from an extensive network of brand, law enforcement, and online platform contacts to resolve cases of infringement quickly and effectively. She has negotiated voluntary agreements and developed alliances with various intermediaries, including Alibaba Group and Taobao Marketplace, Amazon, DHgate and the major payment processors, to improve their responsiveness to rights-holder reports of online infringement. 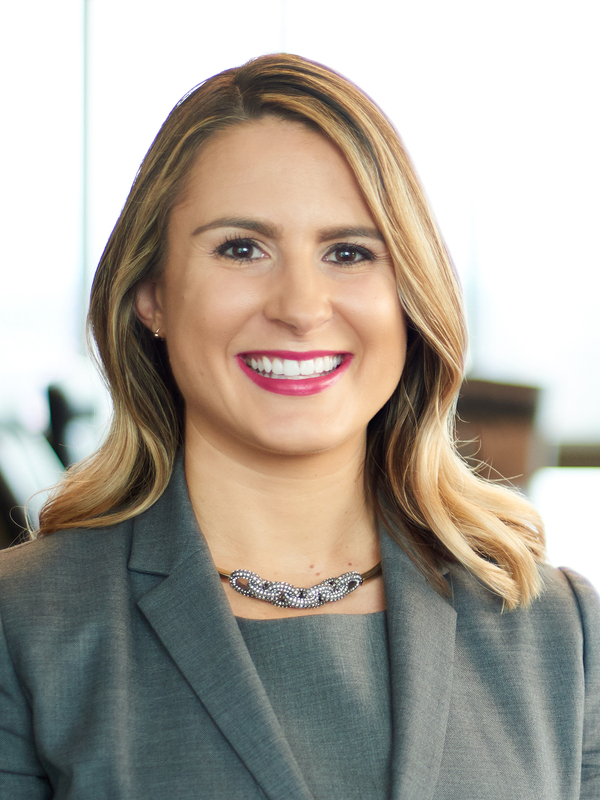 Kristina is particularly skilled at IP enforcement through the lens of payment processing, which utilizes a “follow-the-money” approach to attack infringers’ abilities to process payments for their illegal sales. Kristina’s perspective in advising clients is informed by her own in-house experience. Kristina previously served as an executive at the International AntiCounterfeiting Coalition (IACC), a Washington, D.C.-based trade association devoted to combating product counterfeiting and copyright piracy. There, she executed strategic brand and content protection initiatives on behalf of hundreds of rights-holders and spearheaded collaborative efforts to address infringement on multi-seller platforms, including Taobao, Tmall, AliExpress, Etsy, Amazon, eBay and others. In this role, Kristina represented rights-holder interests before various international organizations and government bodies, such as EUIPO (formerly OHIM) and the U.S. White House. Prior to joining the IACC, Kristina also worked in-house at Gucci America and Dolce & Gabbana USA. Kristina is a frequent speaker on issues related to IP enforcement, payment processing and the growing incidence of infringement on the dark web. She has directed public awareness campaigns for consumers and conducted training sessions for law enforcement, the financial industry and online marketplace personnel. Advising clients on enforcement strategies in a variety of contexts, including social media, mobile apps, digital advertising, Chinese platforms, gTLDs, 3D printing and the dark web. Combating counterfeit merchandise for major recording artists, both in online and on-the-ground marketplaces. Addressing online imposters for entertainment and celebrity clients. Attacking counterfeit websites, cybersquatters and digital music piracy sites through non-litigation measures. Managing a gray market enforcement program for a major mobile phone and electronics brand. Advising multinational businesses on privacy and data protection compliance in the wake of the Court of Justice of the European Union’s decision invalidating the U.S.-EU Safe Harbor framework. Educating clients and others on intellectual property. She has directed public awareness campaigns for consumers and conducted training sessions for law enforcement and financial industry personnel. She is a frequent speaker on issues related to IP enforcement and payment processing.